These aren't pictures of Bozo we're talking about - evil clown tattoos show the darker side of this painted circus performer. While most people picture clowns as wearing large, curly wigs and plenty of makeup, clowns in their purest form are really just performers out for a laugh. Clowns can be seen in cultures dating back to ancient Egyptian society, but they really began to grow in popularity during the Middle Ages. In medieval times, clowns were associated with jesters and jugglers, entertainers who, while popular, were seen as pariahs in society. They were often grouped with prostitutes and lepers, and wore distinctive clothing to alert others to their presence. These stripes (or motley clothing) started out as the first type of clown costume. The poverty that was faced by clowns meant that they were often seen wearing castoffs and "hobo" like attire, which has become inspiration for modern day clowns. Clowns didn't really get their full look (or at least the look they have today) until the traveling circuses and sideshows started roaming the US countryside in the 1800's. At this point, the image of a modern clown began to take shape. Friendly clowns, those with those white painted faces, exaggerated smiles and red noses, are most often seen in a circus atmosphere today. Visitors to a three ring circus in the 21st century will likely be treated to several exhibitions by clowns, who usually perform physical comedy like squirting water and tripping and falling. Their comedy is used to break up the tension between other acts that happen in the circus rings - such as animal acts and trapeze artists.Clowns have also made a big impact on popular culture, as can be seen in the instance of Bozo the Clown, who debuted in 1946. This clown face quickly became the most recognized clown in the United States, with a children's show and many other merchandizing items. 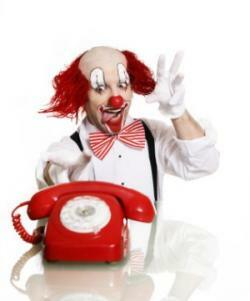 Another important clown in today's world is not an entertainer, per se, but an advertising mascot. Ronald McDonald is the face of McDonald's restaurants, and his flaming red hair and red and yellow outfit are recognized all over the world. While some clown purists do not consider Ronald McDonald to be a true clown, he is definitely the most recognizable clown figure and has been for nearly half a century. Clown tattoos in general can be seen on people from all walks of life, from those who enjoy the circus to people who just want to add a little whimsy to their world. Like angel tattoos and skull tattoos, tattoos featuring clowns can be seen in many different art styles. Some prefer a more cartoony look to their clown images, while others go for the "sad hobo" look and may even get a portrait tattoo. These portraits can range from facial images to full-body images of a favorite clown character. Evil clown tattoos are another story entirely. These tattoos are representative of the darker side of clowns, and also are associated with coulrophobia, the fear of clowns. Some people have such great fears of clowns that getting an evil version of the character tattooed on themselves is a way of attacking that fear head-on. This is an actual disorder that affects quite a few people throughout the world - and fear of clowns can even be disabling to some. 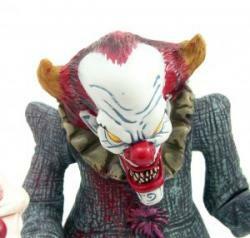 Evil clowns are a way to expose yourself to this fear and possibly stop it. 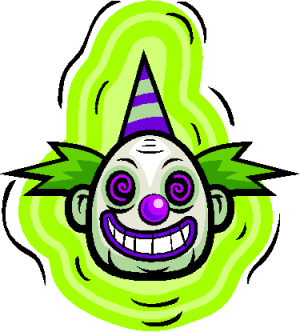 Evil clowns are also associated with the rap group Insane Clown Posse.